Present upon arrival. One per customer. No cash value. Excludes tires and service packages. No further discounts apply. See dealer for details. Expires 04/30/2019. Certain restrictions apply. See Retailer for details. Price and offer availability may vary by model. Eligible tires include all OEM, OEA and WIN tires. Taxes and fees additional. No cash value. Must present offer to redeem. May not be combined with other offers. INFINITI vehicles only. Void where prohibited. Ends April 30, 2019. Certain restrictions apply. See Retailer for details. Price and offer availability may vary by model. Taxes and fees additional. No cash value. Must present offer to redeem. May not be combined with other offers. INFINITI vehicles only. Void where prohibited. WHY SERVICE WITH INFINITI OF BRIDGEWATER? 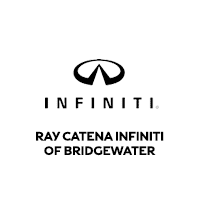 Ray Catena INFINITI of Bridgewater	40.5759247, -74.5755281.